Order by 5pm and receive your order tomorrow!! 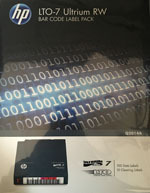 LTO Ultrium / AIT / DLT / SuperDLT / Etc. 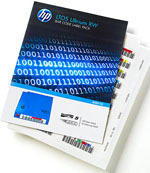 FREE CUSTOM LTO BARCODE LABELS! 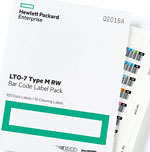 LTO Ultrium-2 LTO-2 Tape Cartridge Barcode Label, Qty: 20 labels per sheet, Custom sequence LTO-2 barcode labels, peel and stick lto labels, usually ships same day. Call us today at 866 801 2944.